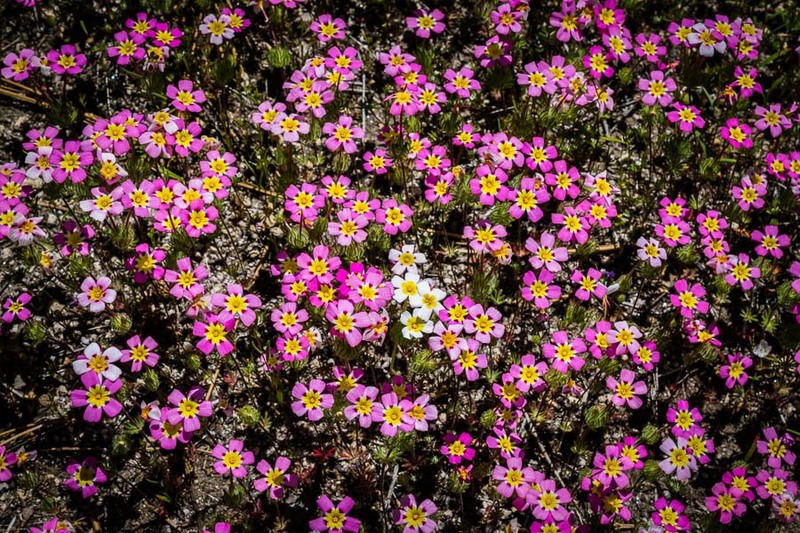 Spring 2018 – What’s Growing in the Arizona Desert? 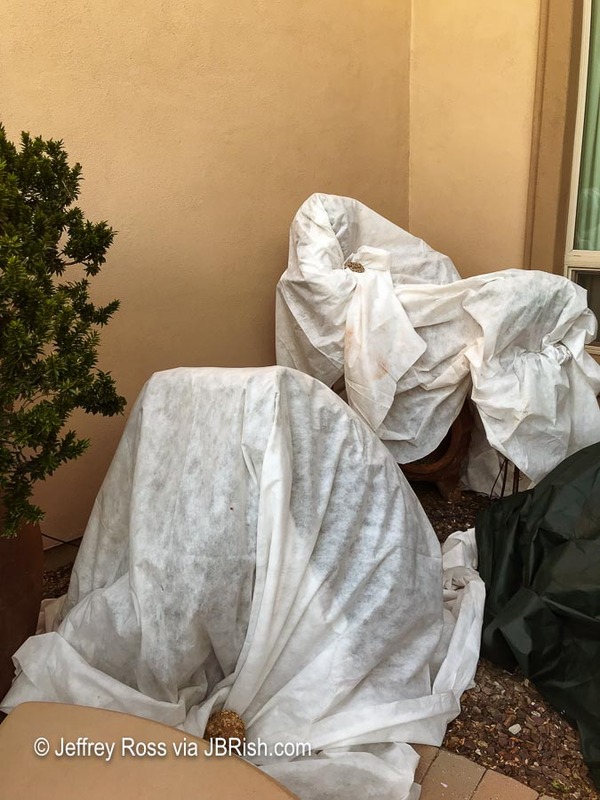 We have arrived at our spring planting season in the Phoenix, Arizona area even when other areas of the nation continue to be cold and perhaps stormy. I had an opportunity to visit the demonstration garden at the Maricopa County Extension Center which is maintained primarily by the Master Gardeners. There were some interesting plants in full bloom and I wanted to share two of them with you. 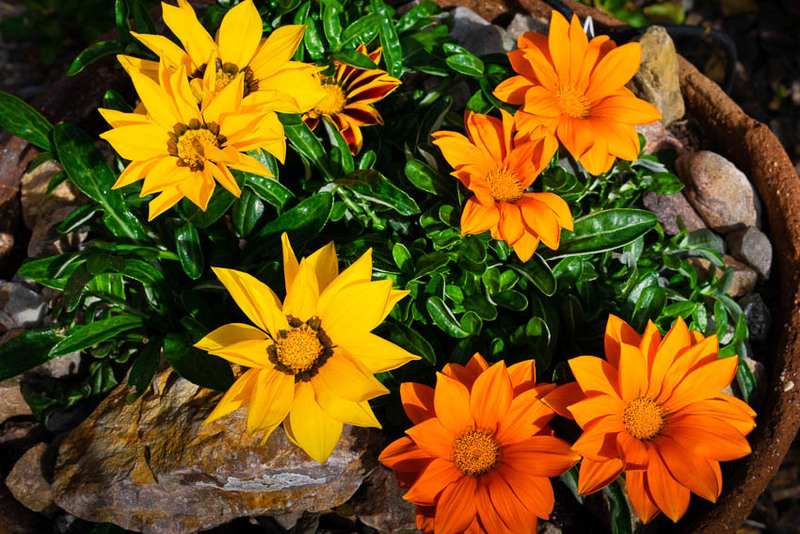 When I select a plant to grow, it is generally one that has impressive flowers. 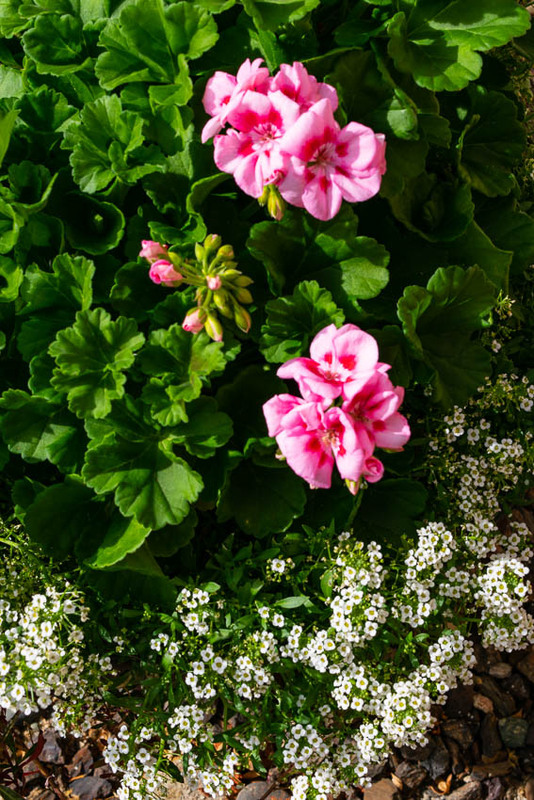 This can be small, numerous flowers or large, showy flower that are less in number. 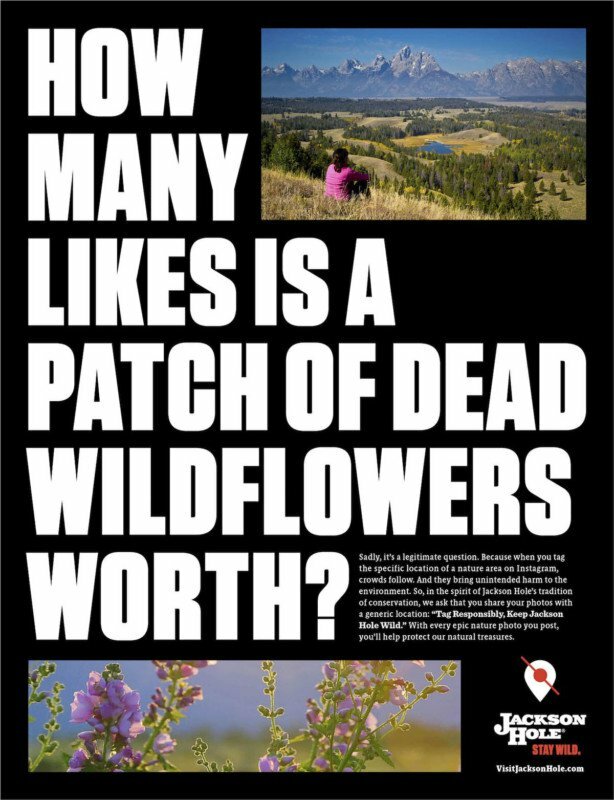 I also like to have the flower-to-leaf ratio to be appropriate. 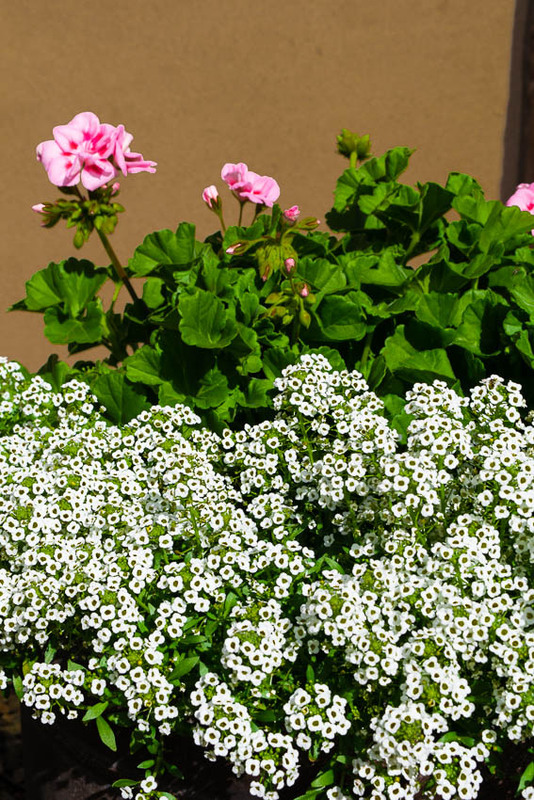 I don’t want the leaves to overpower the flowers. The one exception to this would be a plant that has pretty or show leaves. One plant that comes to mind in this category is Milk Thistle. We have lots of critters in our neighborhood and they like many of the plants we enjoy so I need to be very selective. Then there are some plants that people in our region select because they are unique. 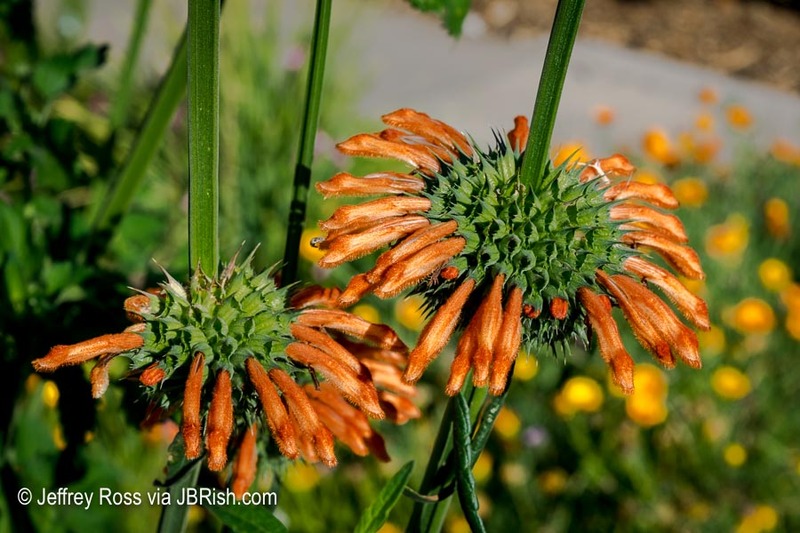 One quite “different” plant at the demonstration garden is Lion’s Tail or Wild Dagga (Leonotis leonurus) – One look and it will be obvious how this flower received its name. 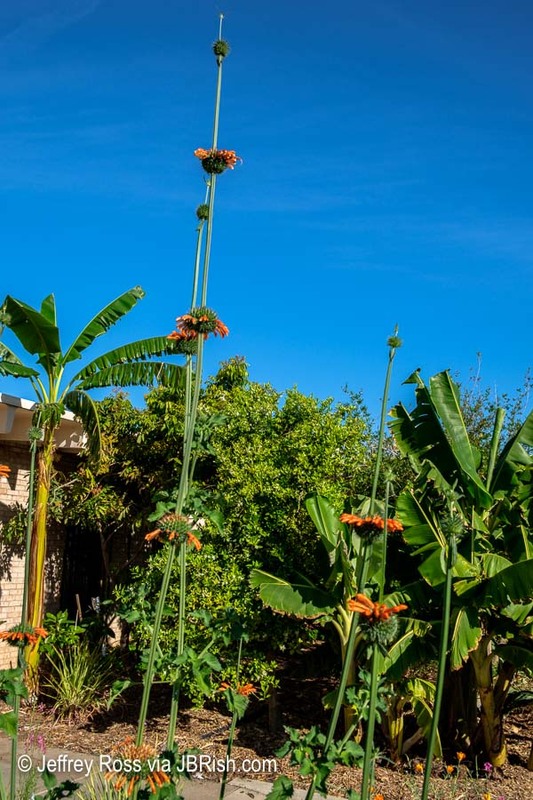 Lion’s Tail is reportedly a fast growing, drought tolerant plant! You can read more about this unique plant in The San Francisco Gate article HERE. — scroll down. 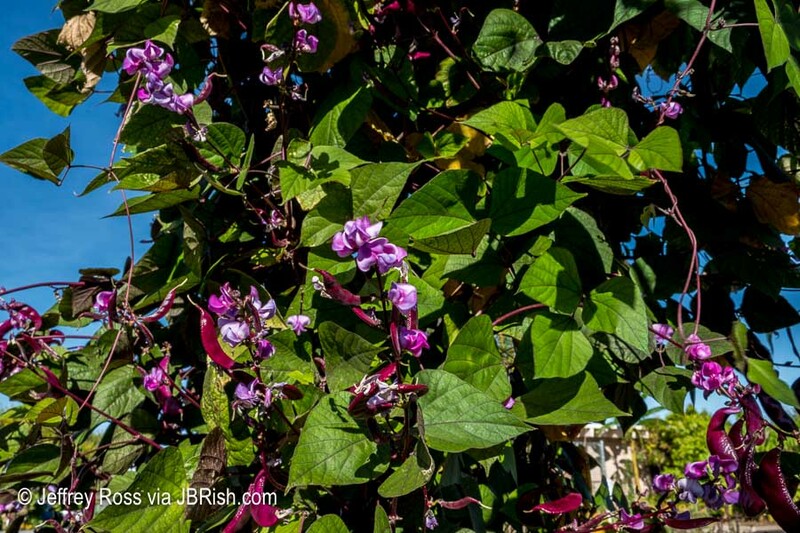 Another unique and interesting plant is the Hyacinth Bean (Dolichos lablab or Lablab purpurea). 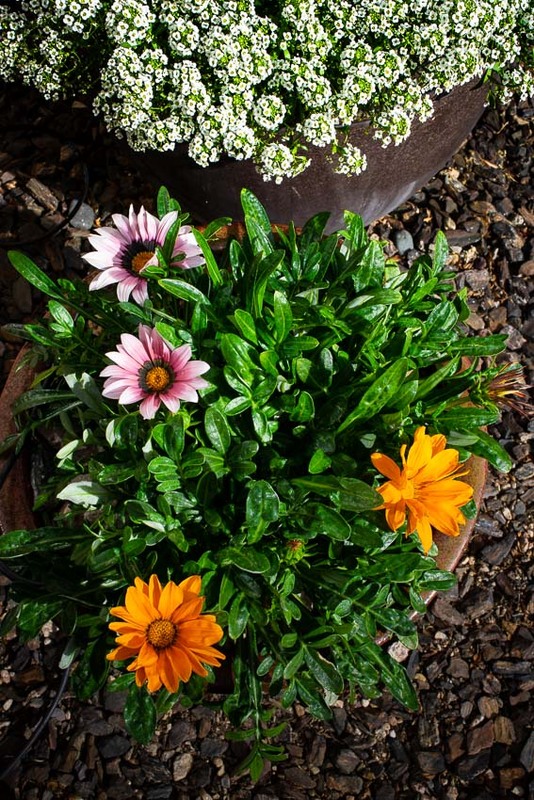 This plant is grown as much for its purple seed pod as the plentiful light and dark pink flowers. If you have a place in your garden for a vine, this might be a very good choice. Naturally if this is grown in our area, it must be heat tolerant, but the amazing thing is how well the vine tends to do even with the hight temperatures as long as it is given ample water. 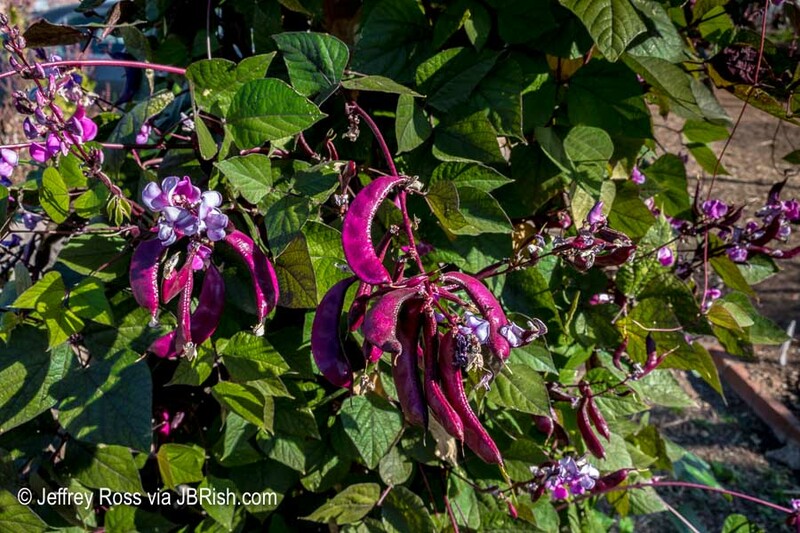 You can find more information about Hyacinth Bean HERE and HERE. 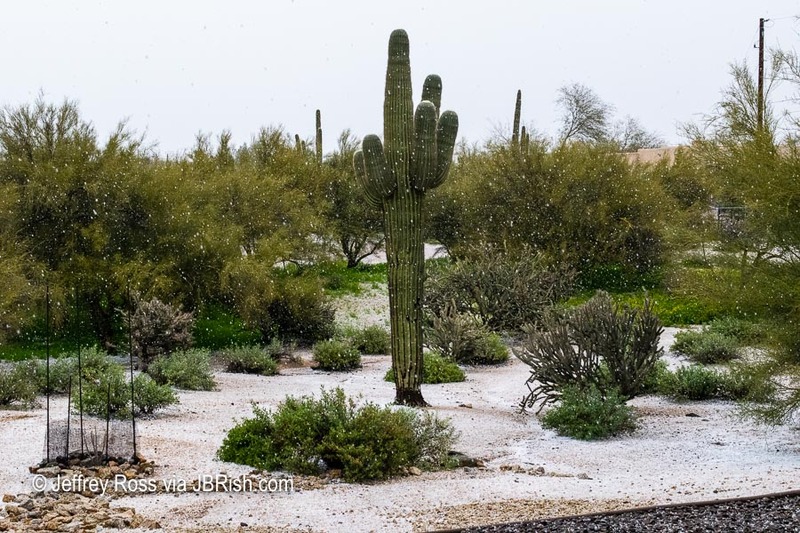 As I may have mentioned on the pages of this blog in prior posts, I volunteer at the Desert Botanical Garden in Phoenix, AZ. 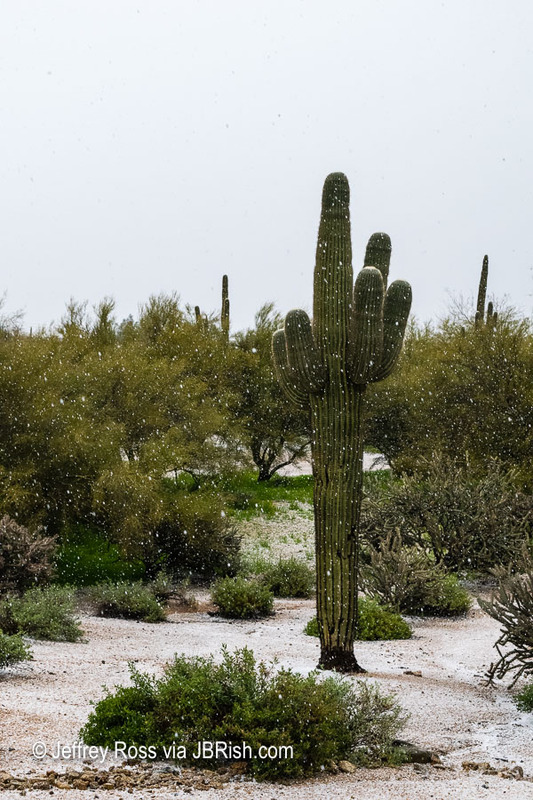 It is a wonderful place to experience desert flora from the Sonoran Desert and other arid regions of the world. 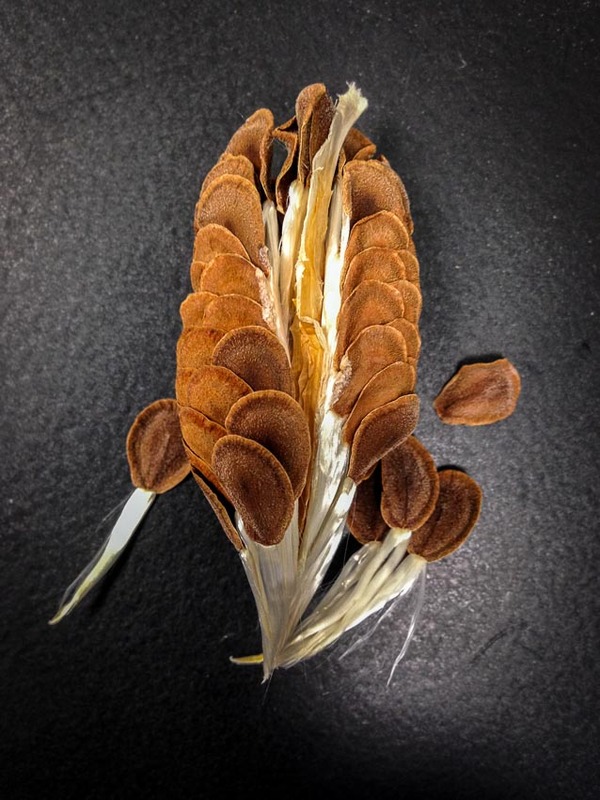 Whenever I work with the various dried seed pods, I am aware of the miracle of nature they represent. 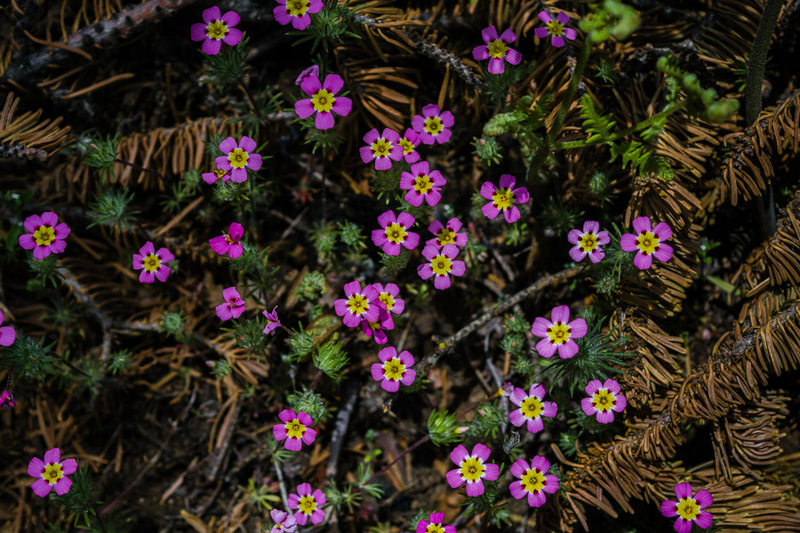 That a large flower can grow from the tiniest of seeds is a marvel. Not only that, but many seeds have a beauty of their own. 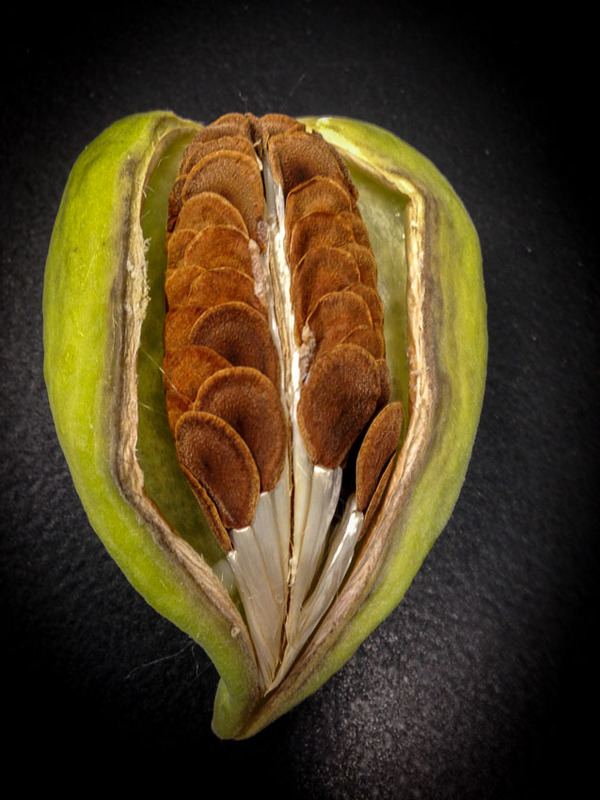 I recently had the opportunity to work with milkweed seed pods (Asclepias erosa). When I opened the first seed pod, this is what I saw. ** NOTE ** These seed pods were not as dry as they would be in nature, but they had opened on their own and the seeds were removed and dried for storage. 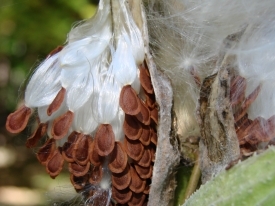 Milkweed plays a key role in the health and welfare of the Monarch Butterfly. You can read more about that HERE. 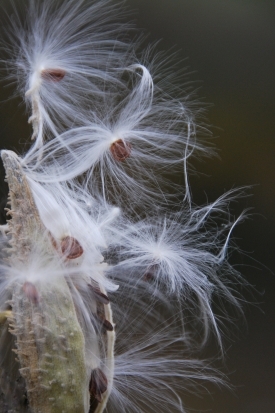 I am writing this post to show the form, function and beauty of the milkweed seed pod. I was struck by the symmetry of the seeds and how they were aligned in a very particular pattern. In addition to the symmetry, I appreciated the rich colors displayed. 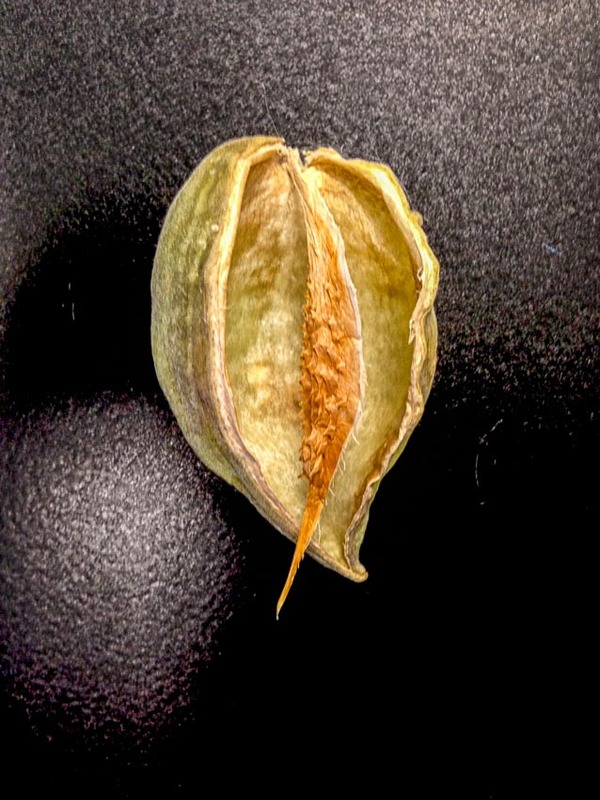 Here is the main seed structure removed from the pod. Notice how some seeds are separated from the main cluster. 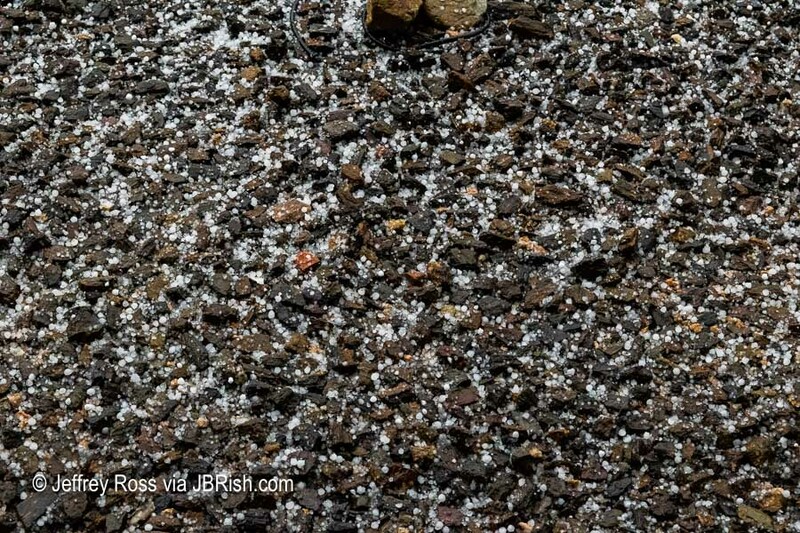 They fell off readily and easily separated. As they were separated, they reminded me of tadpoles with their pearly white, almost silky tails flowing easily behind them. As they began to dry, however, they opened up on their own accord to form the fluffy wing-like structures we have come to know. 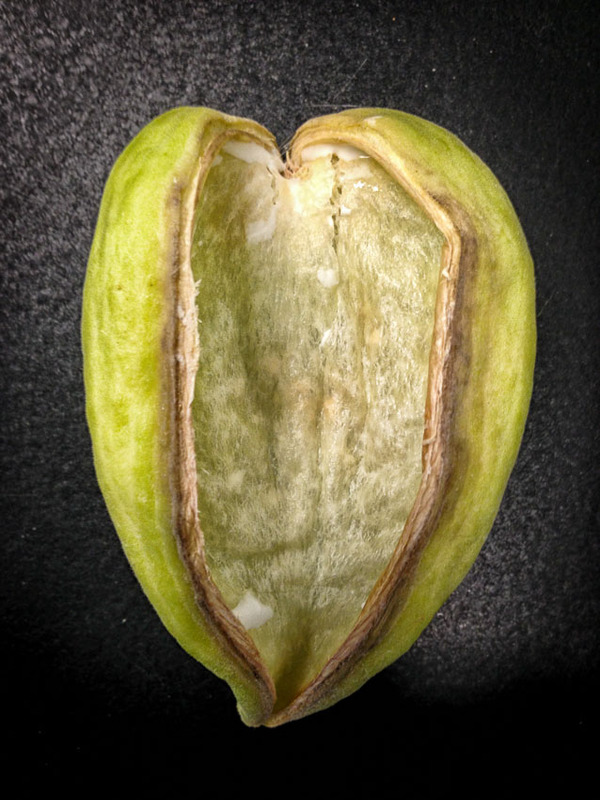 If all the seeds are removed carefully, as I learned after working with several of the pods, the backbone of the pod, so-to-speak, remains attached. It too has a wonderful symmetry and structure. 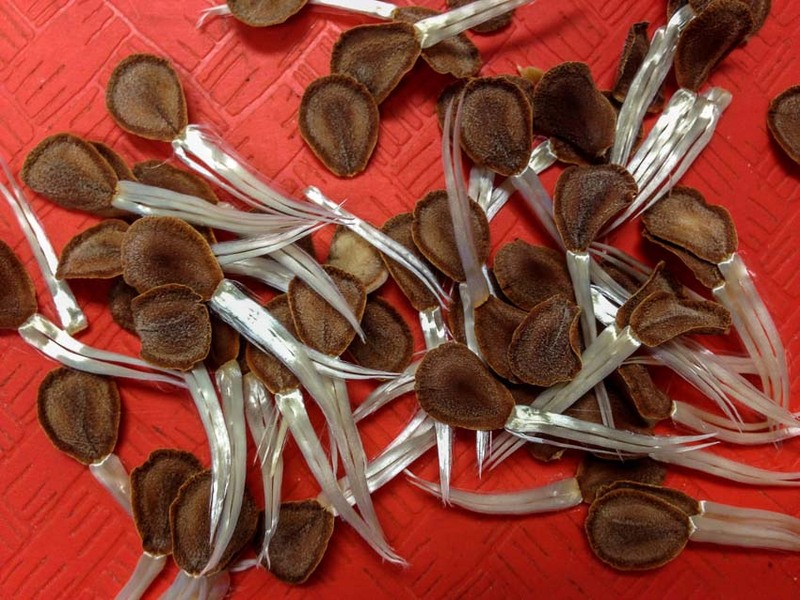 Perhaps the picture below better demonstrates the architecture of this botanical backbone and the pointed tips which probably help to secure the seeds until, in a natural setting, they are dry enough to float away on their own. 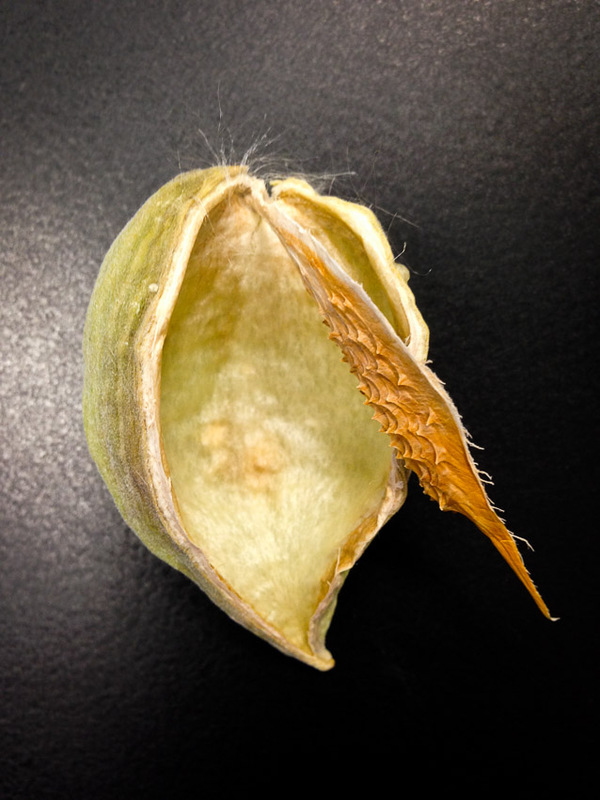 The empty seed pod was slightly sticky and offered a relatively cushioned home for the seeds to await their release. 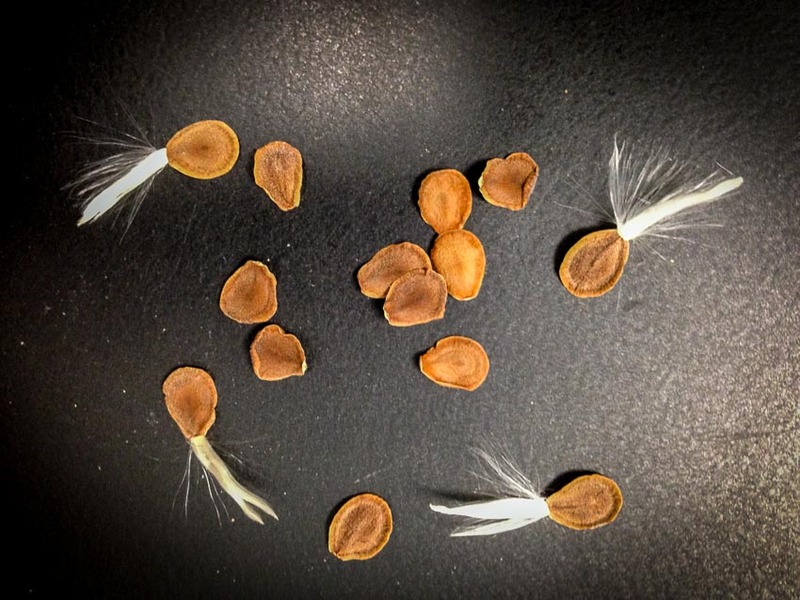 The first picture shows how similar the seeds look while clinging to the pod in the wild. 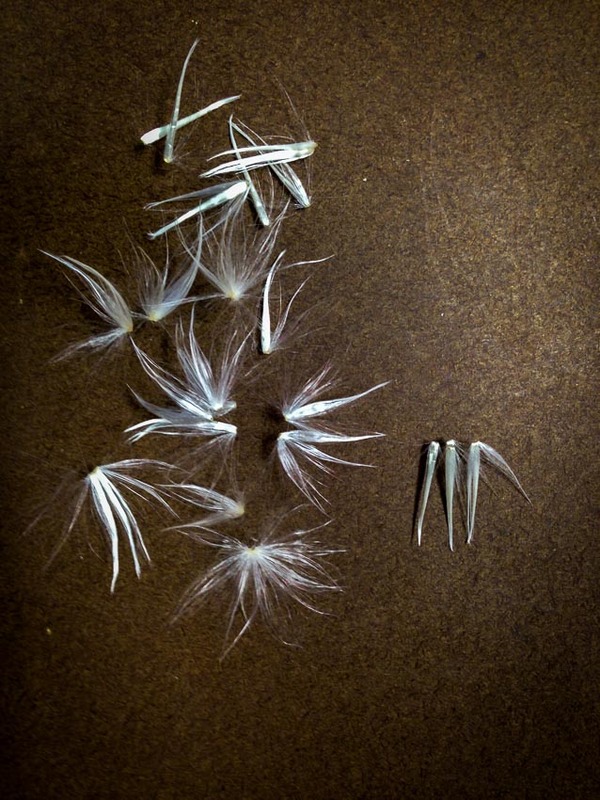 The second photograph provides a glimpse of how the seeds float away on the wind hoping to find a hospital place to root and grow. 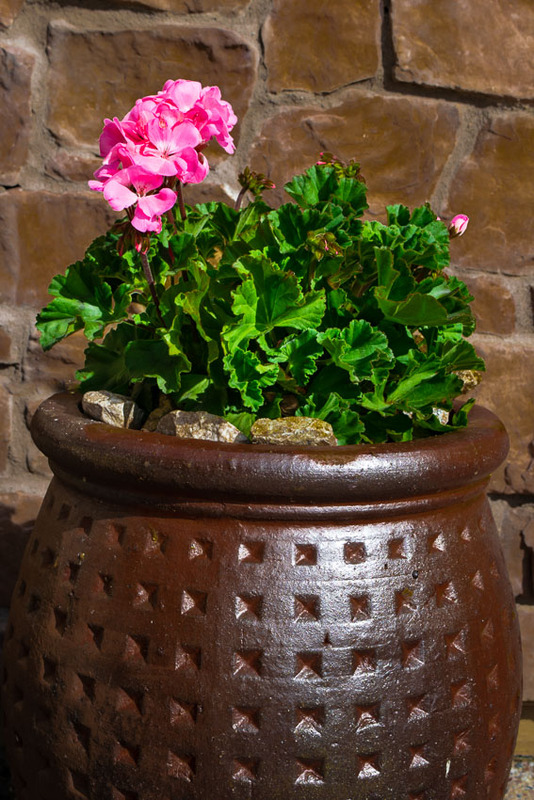 You can find more JBRish posts about plants and gardening HERE.